Every brand wants to find better ways of getting people to engage with their content and purchase their products. Closing the discover-to-buy pathway can be a challenge in digital marketing, but we’ve seen that a smart Pinterest strategy can help turn browsers into buyers. A person who is just browsing is at a perfect point in the marketing funnel for a brand—they are one of the most valuable targets. If this browsing user sees your content and pins it, that means they want to remember it and go back to it. This is a powerful signal of interest and intent. Based on how the Pinterest algorithm works, they’ll then see your content more frequently, without even following your brand. People pinning to their Pinterest boards are also acting as influencers to their friends and followers who will also see the content. It’s easy to see how influential this could be when you’re in the suggestible “just-browsing” mindset. If your friends are looking at content related to fashion and you’ve just pinned an image of Tommy Hilfiger jeans, those friends would be likely to see the image, know that you’re interested in the brand, be more inclined to repin the image themselves and develop an interest in the brand. It’s important for marketers to remember that this is happening whether you are actively involved in Pinterest or not, because people are pinning your content there regardless. When you become active in optimizing a Pinterest strategy, you amplify this and also seed more content assets into the system. We know that when images are linked to websites, they can generate even more traffic than search-engine optimization or other social media networks. In fact, Pinterest works in a similar way to a search engine, and you should optimize visual content for it just as you optimize content on your website for SEO. Someone who was just browsing fashion, then saw their friends posting jeans, could now move to the brand’s website to buy the jeans. 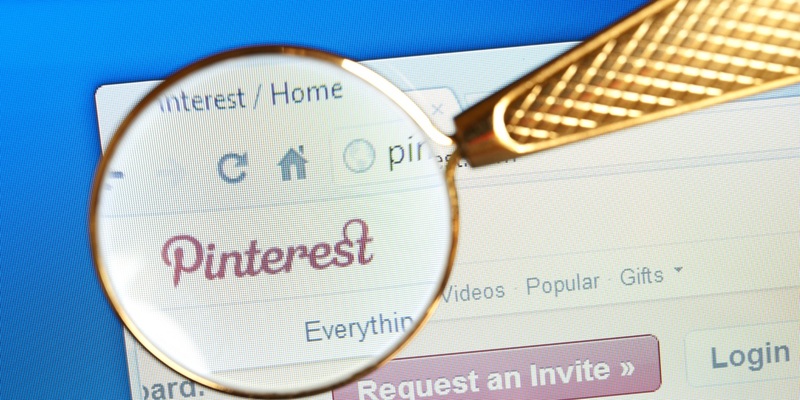 Pinterest is incredibly powerful for connecting the discover-to-buy pathways. For the description, it’s important to use the right keywords so that the Pinterest algorithm categorizes your content in a way that’s optimized for discovery. Let’s say you’re posting a picture featuring jeans. If you only include the name of your brand, Pinterest won’t be able to recognize that you’re talking about denim. So, including the name of the category—jeans—is critical. Pinterest’s algorithms give extra weight to hashtags. Make sure to use them in descriptions. Your board strategy should be focused on categories, as opposed to creating a new board for each campaign. People don’t really care about the campaign you’re running, and they are not searching for it. Once you have some success with an existing Pinterest board, then every new piece of content that you’ve pinned to that already automatically receives a boost—that extra Pinterest SEO juice. Optimizing content for social networks and the web is key to any brand’s earned media program. A smart Pinterest strategy can not only help close the discover-to-buy pathway, but those insights can pay impressive returns from understanding how visual content is shared and engaged with across all of your social platforms. Johannes Scharlach is product manager at ShareIQ, the visual content performance platform for brands.